A quick trip through history – roundhouses, marshland frontiers and a Palladian villa. My children love finding out about the past and for that I am grateful, especially as this means they are more than happy to accompany me on numerous fact finding missions to a variety of heritage sites to see what’s on offer for ‘explorer families’ or school parties. In the latter part of the summer holidays we stopped by three heritage sites for a brief reccy, packing the picnic hamper and the cricket bat along with a desire to follow the odd trail around house or garden. Doubtless we’ll return in the future to continue our exploration. All three are worth a visit which we didn’t have time to do full justice to this summer. St Fagan’s National History Museum of Wales is currently undergoing a major revamp funded by the Heritage Lottery Fund and the Welsh Assembly. Entry is free with the exception of the £4 parking charge and there is enough to keep explorer families like ours happy for a whole day. 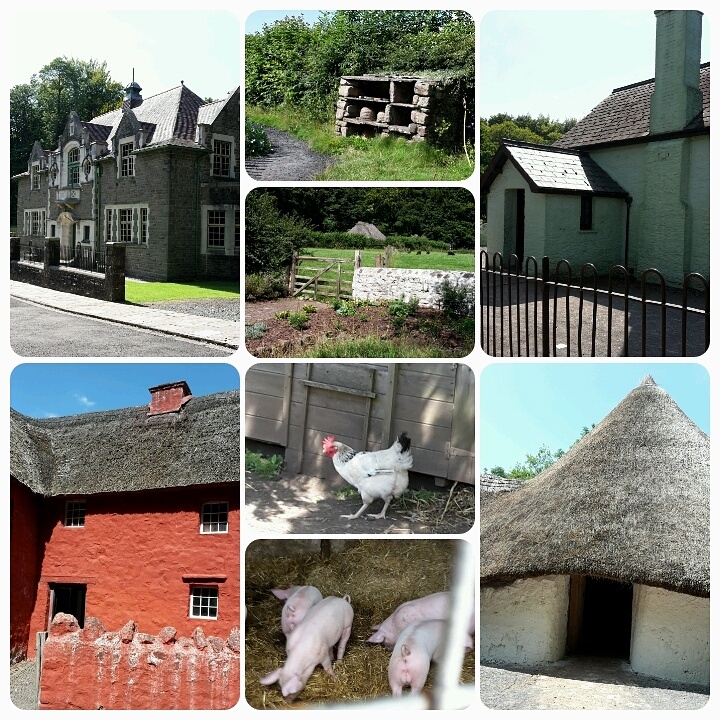 The staff are friendly and knowledgeable, the historic buildings (rescued and reconstructed on site or built from scratch according to traditional methods) fascinating and the grounds extensive. 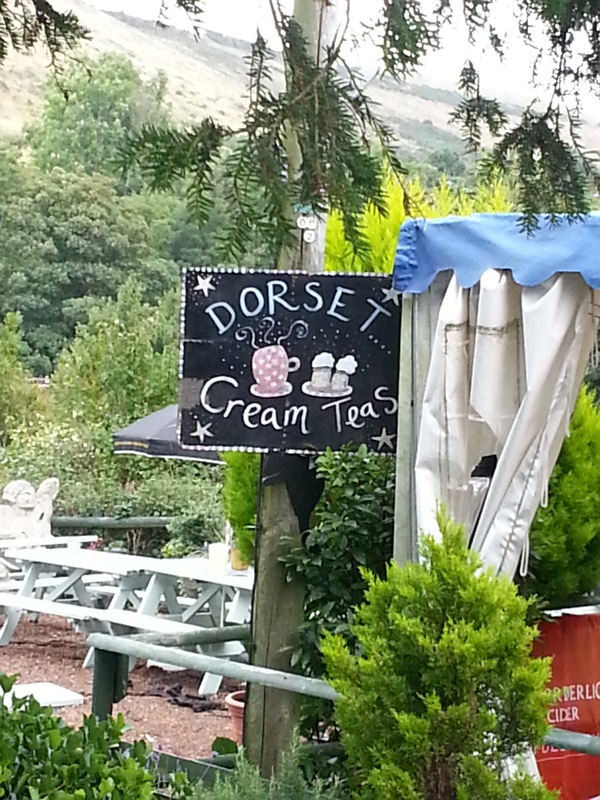 Definitely one to visit again and again. There’s also an extensive programme for schools. 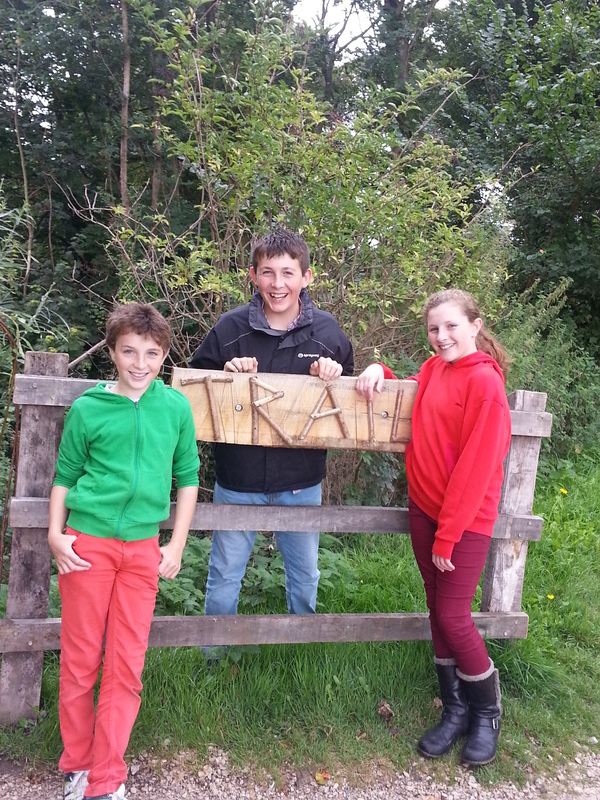 Wat Tyler Country Park (also free to visit) has been developed since last I visited. It too has some traditional Essex buildings, extensive grounds, rich in biodiversity and history. A forest school holiday club meets there during the school holidays and there are some organised wildlife based activities on a regular basis too (pond dipping, bug hunting…) On the day we visited it was teeming with young families playing in the playground and on the bouncy castles and enjoying picnics. And these are the ‘bread and butter’ customers who will return again and again to enjoy a few hours in the open air, letting their children run and play. On the downside, for explorer families with older children the opportunities to engage with the site are few and far between. The advertised exhibition had been dismantled and the Explosives Trail and World War II trail, wherein lies the heritage of the park were little more than a badly photocopied sheet guiding you around an area with little or no interpretation. 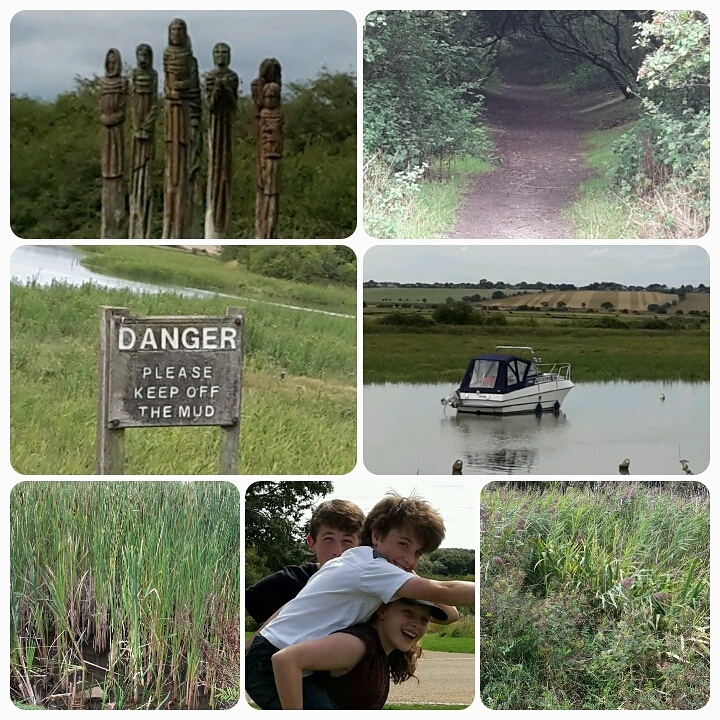 We enjoyed the walk nevertheless, talked about Great Expectations and the marshland landscape haunted by Magwitch and stopped off in the reasonably priced cafe for coffee and cake. 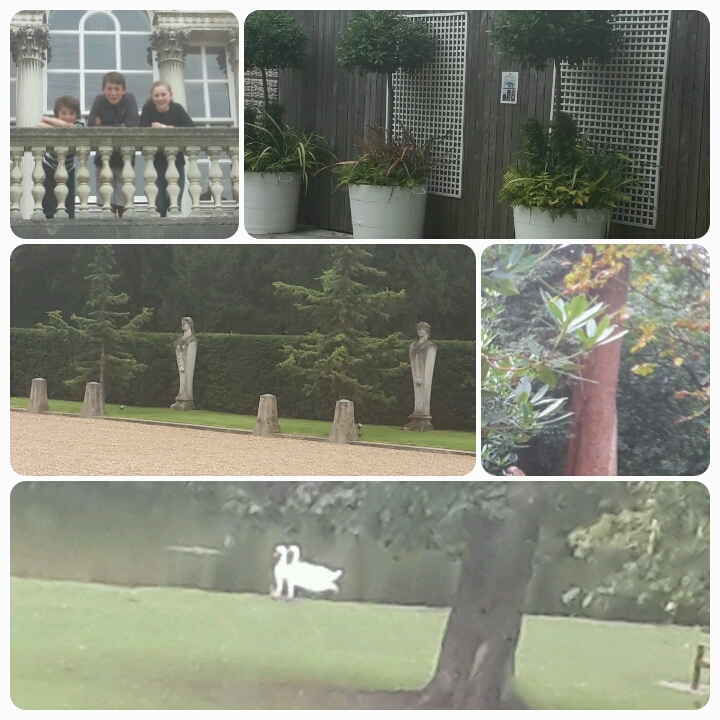 Chiswick House is the perfect stop off point for lunch on our journey from East London to Wiltshire and a favourite haunt of the joggers and dog walkers of West London. The architecture and art of the house itself is well-served by a 45 minute audio tour but the restored gardens have their very own audio tour which is the real gem. Not a bad way to spend a few hours during the summer holidays. We usually manage to find something free to do with the children when we’re in and around London and last weekend was no exception. A chance remark from someone on Twitter led me to discover the Sky Garden at 20 Fenchurch Street, open to the public for free, if you book in advance and surrounded by some very swanky eateries. It was the perfect day for exploring the Square Mile as it coincided with a family cycling event, which meant that most of the roads were closed to motor vehicles and there was a real party atmosphere, with jazz bands playing on street corners whilst we munched our picnic lunch. We combined our visit to the garden with a couple of free trails on the themes of architecture and Dickens (search online), a stroll through the foodie delights of Borough Market and a visit to the Museum of London, stopping off nearby to relax in a peaceful ‘art’ garden where the brave deeds of ordinary people are recorded on simple tile plaques. We shared the space with a group of mums who were enjoying wine and cake under a bunting-festooned tree. Rather delightfully the building next door to the one housing the sky garden was graced with a living green wall and the Sky Garden itself, topped with a glass dome, not dissimilar in look to a small scale Eden project biodome. Native Mediterranean and South African planting dominated over the several terraces of the garden (agapanthus, santolina, rosemary…) but it was easy for the children to spot which was the north facing side of the building from the predominance of shade loving ferns on one side of the garden. The panoramic views over London were spectacular, superior even to those afforded from the London Eye – and easier to cope with for those who have an anxiety about heights. I’d thoroughly recommend it. On the following day we headed out into semi rural Essex to visit the Upminster Smock Mill prior to its closure for an exciting Heritage Lottery-funded restoration project, which will take two years and see the mill restored to its former working glory with the added benefit of a purpose-built education centre on the site. Set in a field in the middle of a residential area of Upminter, it has story which deserves to be told to a much wider audience. Mr Country Gate had last visited the windmill as a young cub scout and knew that it would fire the imagination of a wife who has spent the last two years telling the story of another heritage site with a rich history and bringing it to the eyes and ears of a young local audience. 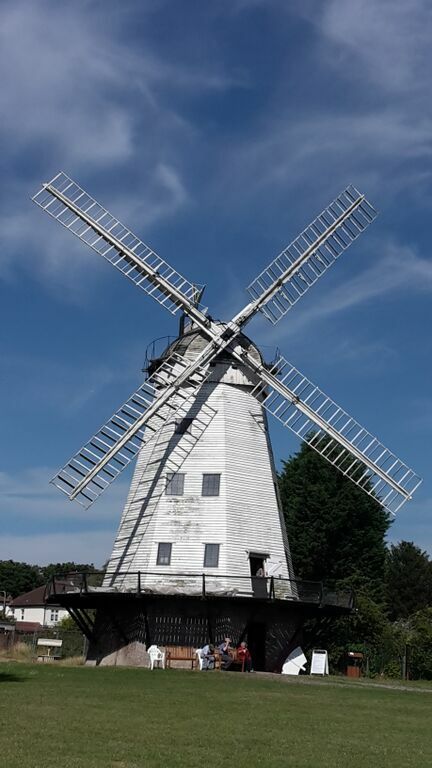 Little had changed in the intervening years internally, although the Friends of the Windmill have continued to spread the word about it and fundraise to carry out essential repairs. We were guided around the interior by a friendly and knowledgeable volunteer, spending an enjoyable hour exploring the space, understanding how the machinery worked, discovering the story of the millers who worked it and realising what a truly green, local industry looked like. It truly is a gem. I shall be following their progress with great interest as they move towards becoming a working mill again. You can follow their progress on Twitter. 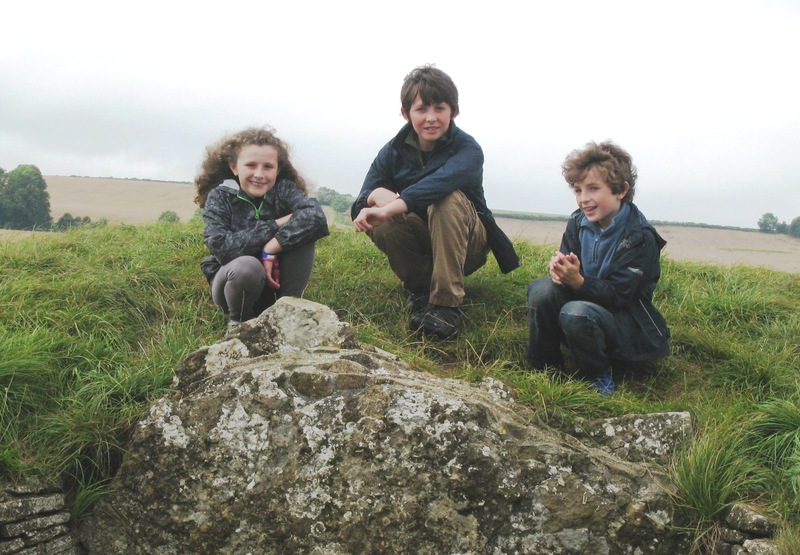 My children have been outdoor explorers for years. Teenagers now, one of them is halfway up a small mountain in the Lake District with a small band of Explorer Scouts on a quest to secure a Duke of Edinburgh’s Award. His mobile phone has been unused, but I’m sure we’d have been contacted if he wasn’t safe. It seems parents who want their children to spend time having outdoor adventures in the school holidays have a champion in Chief Scout Bear Grylls. Recently he launched a summer manifesto of suggestions to get young people out and about enjoying the great outdoors. For those of us who work with children in this context it is nothing new, but Bear Grylls gets noticed so why should I complain that he’s taken up the flag that others have been waving for years? Not so many weeks ago, school children were stuck in classrooms for days on end tackling examinations – SATs, GCSEs, A levels,school’s own. For weeks beforehand many pupils were undergoing booster sessions or completing practice papers on a daily basis in an effort to improve their chances of obtaining a higher level and the school’s chances of creeping up a few places in the performance league tables. PE was on the back burner for some. 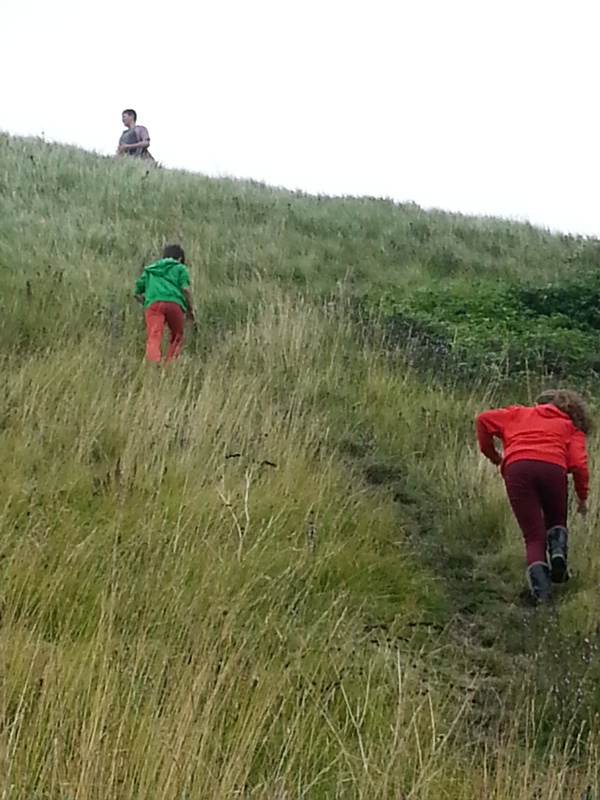 Yet in enlightened schools, headteachers prescribed time spent outdoors as relaxation for stressed out pupils. Being outdoors is good for children. There have been numerous studies citing the positive mental and physical benefits of being outside looking at nature. Nature has a rejuvenating effect on the brain, boosting levels of attention and improving performance in cognitive tests. 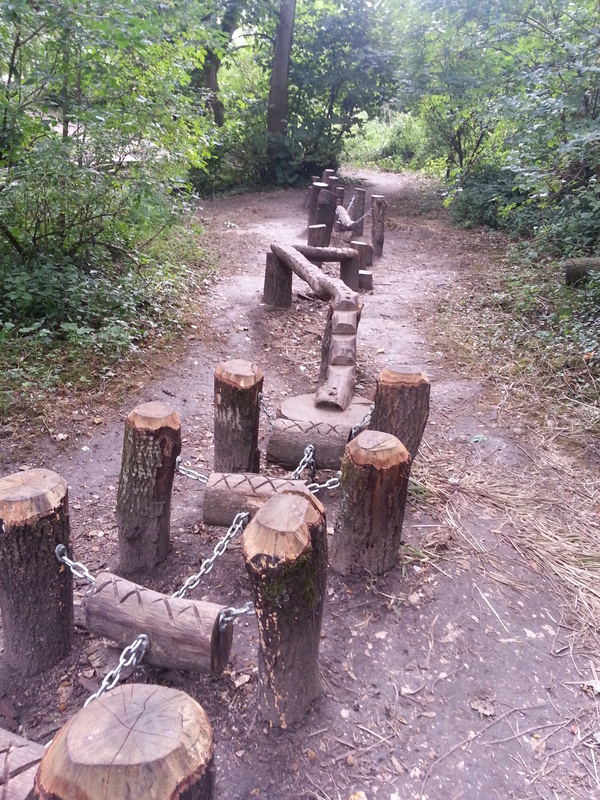 As well as outdoor PE, some schools run Forest School sessions and horticultural programmes as an alternative to traditional classroom based lessons. Children are genetically predisposed to move, to explore the space around them, and to discover its contents. 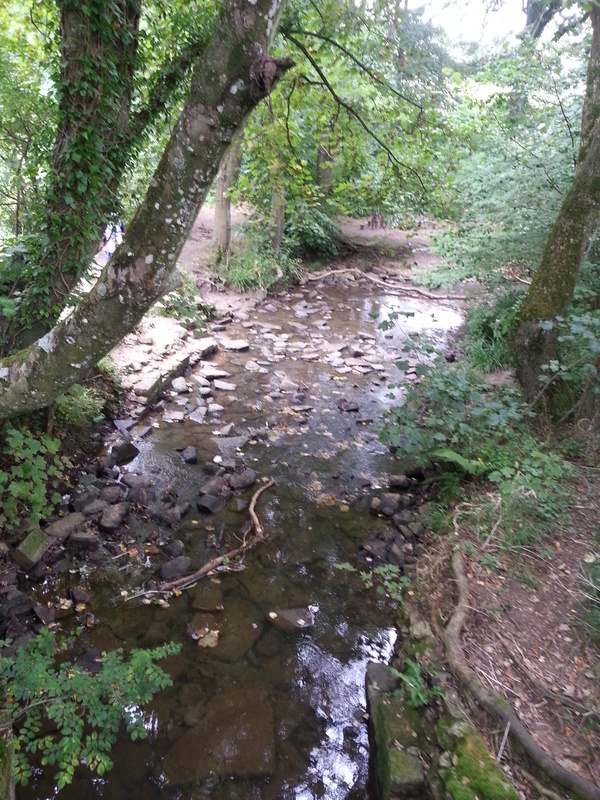 All green spaces offer physical activity and free-range learning. The richer the environment, the richer the learning will be. Schools with extensive grounds have an advantage but for those who don’,t local parks are a great alternative. 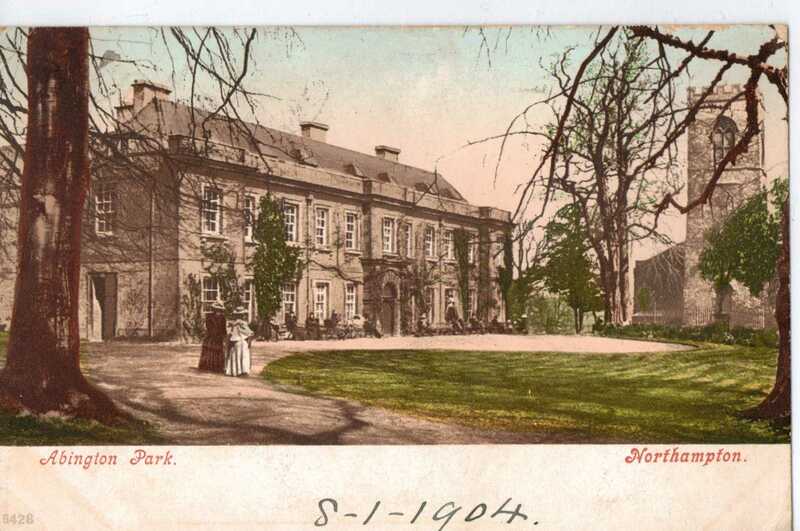 For some time now I have been working with Eco Kids in Northampton on a lottery funded project to explore Abington Park,an urban green space with a rich history, as an outdoor classroom. Many outdoor learning programmes already exist which cater for children’s emotional and social needs and provide practical, problem solving opportunities in an outdoor environment and an antidote to the sedentary, screen-based activities which fill the days of a number of youngsters. Heritage sites provide rich hands on activities for studying history and the natural environment is well catered for in environmental education centres up and down the country. Many children do not learn effectively, exclusively within a classroom. 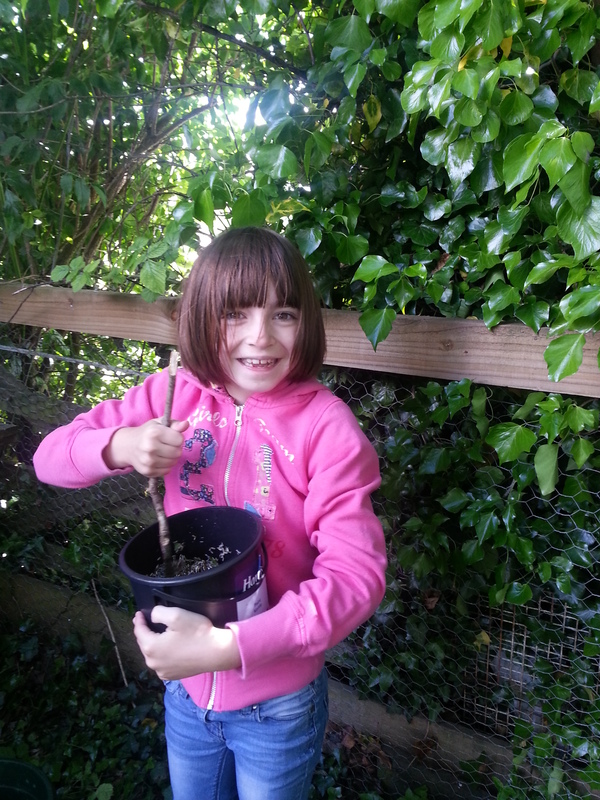 They need alternative, hands-on learning environments to match their varied learning styles. The packs I’ve written for Eco Kids, in addition to learning about the flora, fauna and history of Abington Park itself provide teachers, parents and youth leaders with the tools to encourage them to take learning outside and reap the rewards of this approach. Learning in the open air builds resilience, encourages creativity, develops resourcefulness, sparks discussion, fosters team building and inventiveness. We’ve had a busy few weeks. I finally managed to plant all the daffodil and allium bulbs I ordered back in the summer; we finished painting the front door and the children’s bedrooms; two school residentials to the Brecon Beacons and the Lake District have been undertaken; large batches of Christmas chutney have been made; I ran an Autumn themed workshop for the National Trust and we managed to fit in an exciting trip to London. Sarah and I went up on the train for a girly jaunt around my old Bloomsbury and Euston haunts (including bumping into my old PGCE lecturer at the Institute of Education), a visit to the British library, which Sarah has wanted to do for ages and a stay in a hotel complete with posh bubble bath, facemasks and telly in bed! 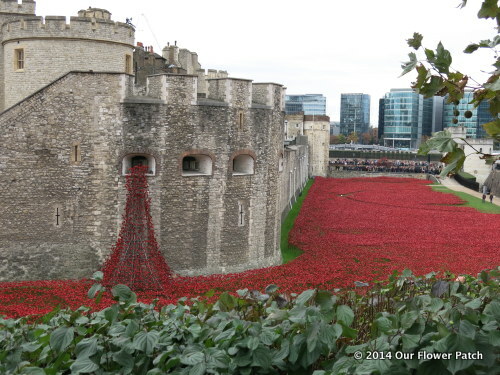 The boys used the car and stayed with the in-laws and visited the poppy installation at the Tower of London. 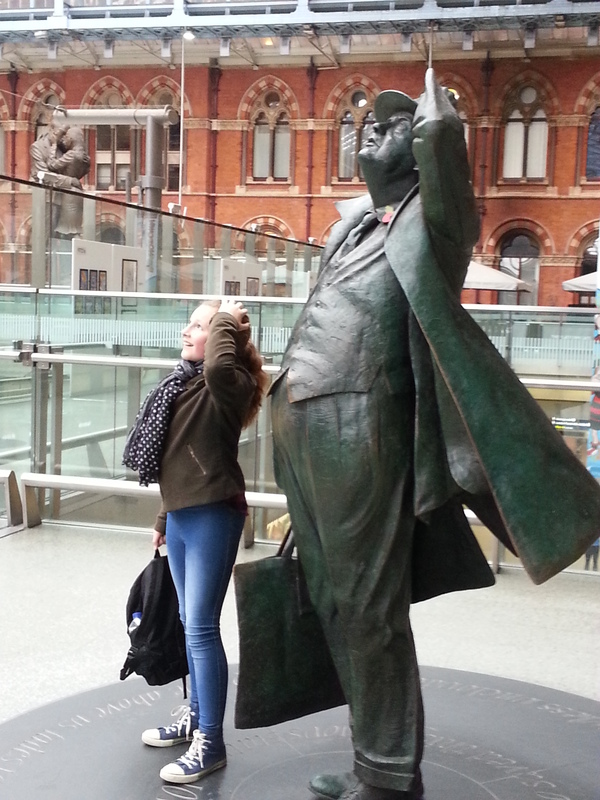 We did meet up on Wednesday though – for the main reason for our London trip. The services of the youngest member of the family were required by Radio 4 Extra for a recording of Junior Just a Minute with Nicholas Parsons, Josie Lawrence and Jenny Eclair who were charming and hilarious in equal measure. Now the children are back at school, Ian is once more trekking round the country, the Christmas cake is in the oven and I am back at work writing materials for the Abington Park Outdoor Classroom Project and Our Flower Patch. I’ll be writing about the former soon on this blog. In the meantime you can read a bit about Our Flower Patch here in an interview we gave to Michelle Chapman. Incidentally we have a giveaway on the Our Flower Patch blog this week. All you have to do to win the best book I have come across on growing cut flowers at home (Louise Curley’s The Cut Flower Patch) is to leave a comment and subscribe to the blog. Simple! With just two more days left of the school holidays and last week’s washout of a Bank Holiday renamed ‘Monopoly Monday’, yesterday we decided to go on an adventure in Dorset. 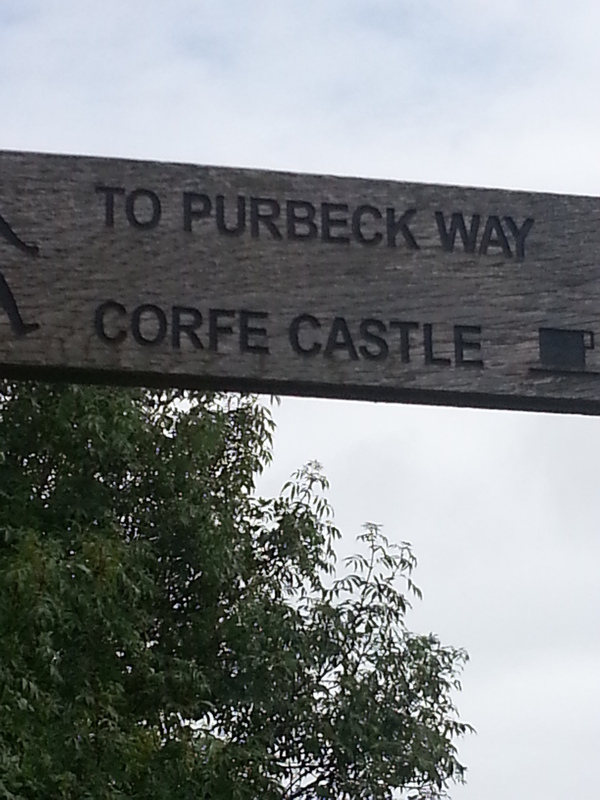 Our destination was Corfe Castle. 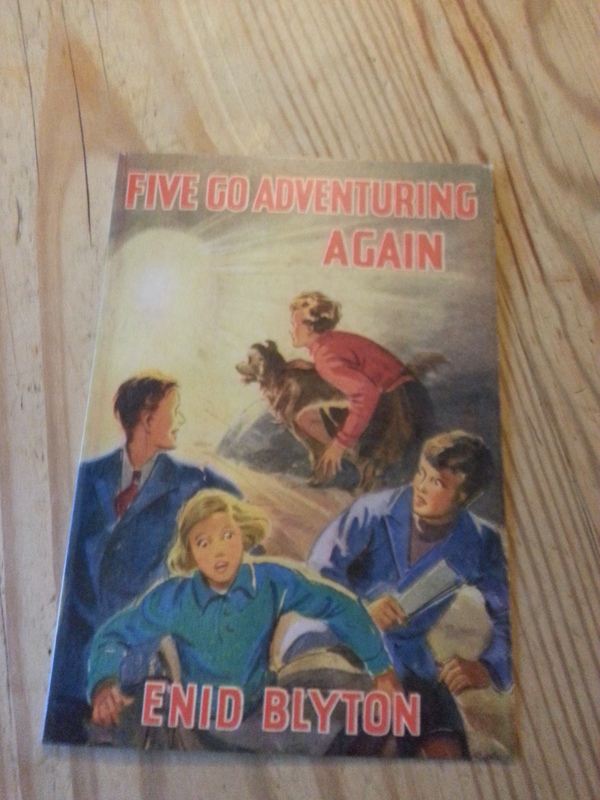 My three have devoured most of Enid Blyton’s books over the years, as their parents did before them, and so a trek to Dorset’s iconic medieval castle, inspiration for Kirrin Castle was on the bucket list of things to do before they all reach secondary school. I’d like to say that we packed a picnic in a wicker basket with homemade ginger beer taken from the larder and the sandwiches were wrapped in brown paper and string. However, as we’ve done that before and this was a day off for Mum as well as the rest of the family we took the wicker basket to a well known supermarket deli and chose our own salad selections, boiled eggs, pork pies and cakes. On arrival the car was parked at the National Trust visitor’s centre, (an airy space with comfy sofas, good coffee, ice creams and clean toilets) and we set off with our picnic in true Famous Five style along a path, through several kissing gates, across a railway line and along a farmer’s field to our chosen picnic spot. 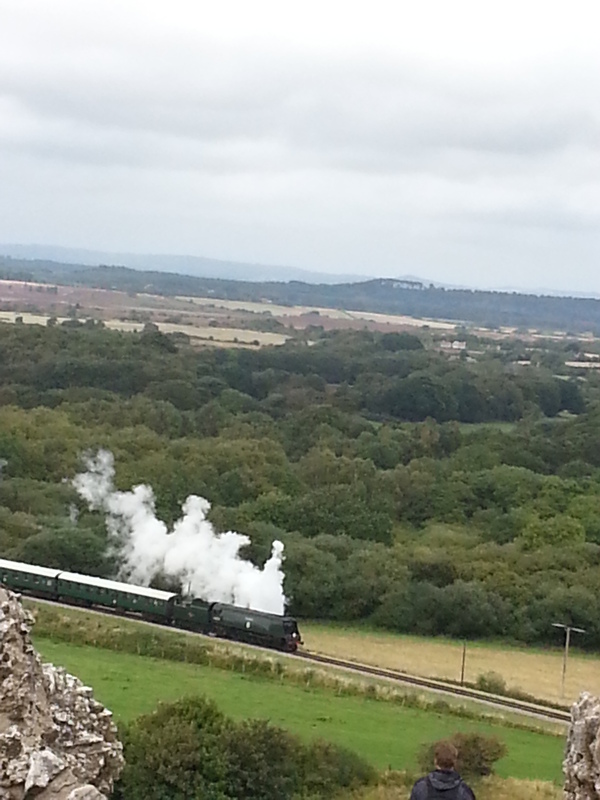 To add to the atmosphere a steam train puffed along the track right on cue. We waved to the passengers and they waved back. 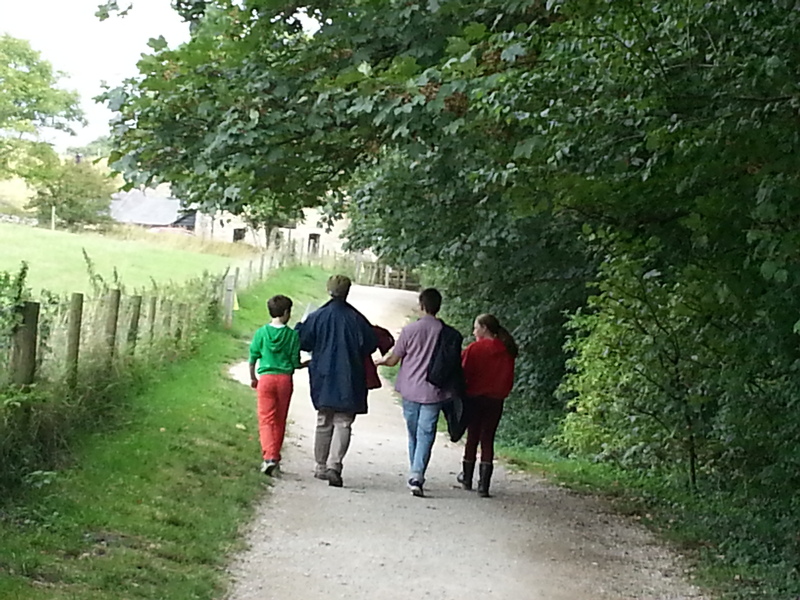 Our picnic consumed, we retraced our steps to the visitor centre and set off towards the castle. Even in flipflops the steep climb was easy as the path was wide and well made, climbing slowly, skimming the edge of the river in places and providing enchanting glimpses of the walls as we headed higher. Dotted along the way of this ‘Wildlife Walk’ were interpretation boards with fascinating facts about the wildlife around the castle. The castle itself has a full programme of seasonal events for families throughout the year, including Christmas, and plenty to keep children interested including giant outdoor games and the Castle Quest, complete with dressing up clothes. Sadly mine regard themselves as too old for this and eschewed the chance to put on very authentic looking helmets and engage in sword play. 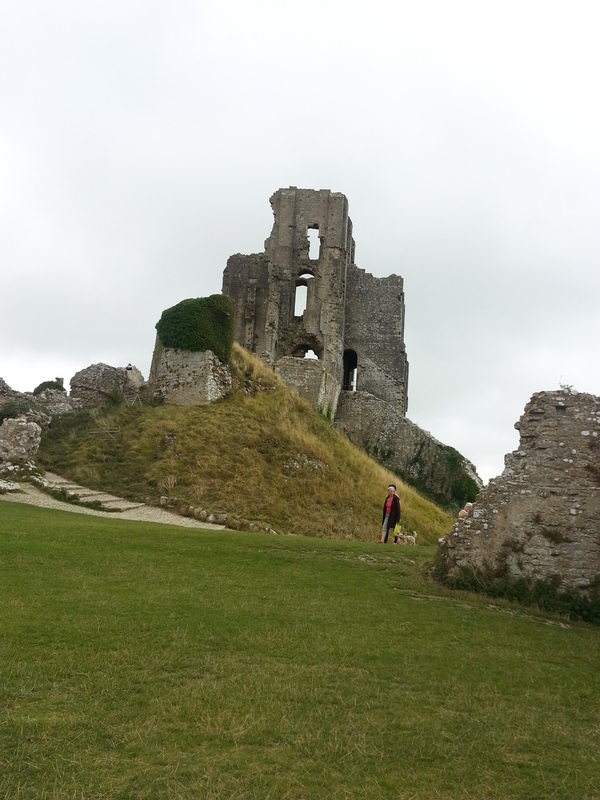 For us it was enough to explore the romantic castle ruins and marvel at the way the walls are still standing despite major subsidence due to attack by gunpowder during the Civil War. and checked out the wildplants that grow there. 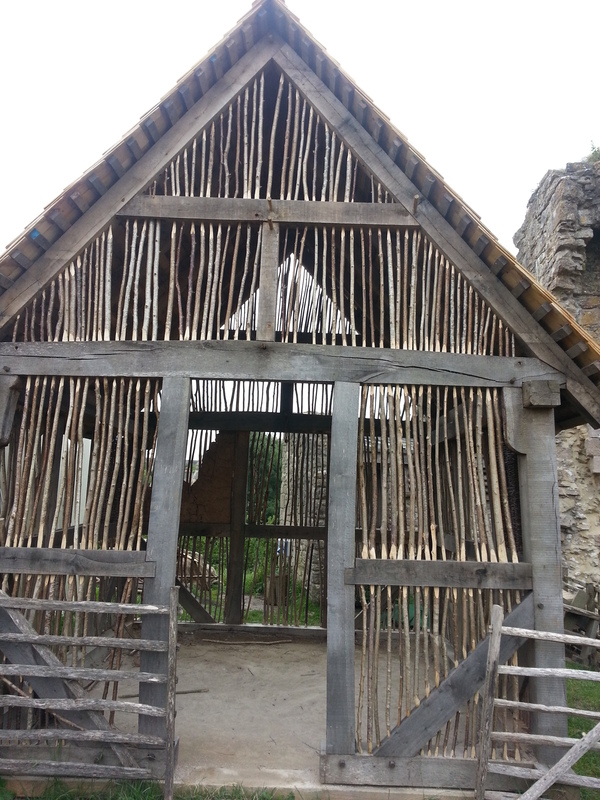 Before we left the castle we inspected the Mason’s Lodge, a traditional timber building in the Outer Bailey used to teach traditional skills and crafts. We wouldn’t have minded rolling up our sleeves and taking part in some daubing. Maybe next time or in another place? 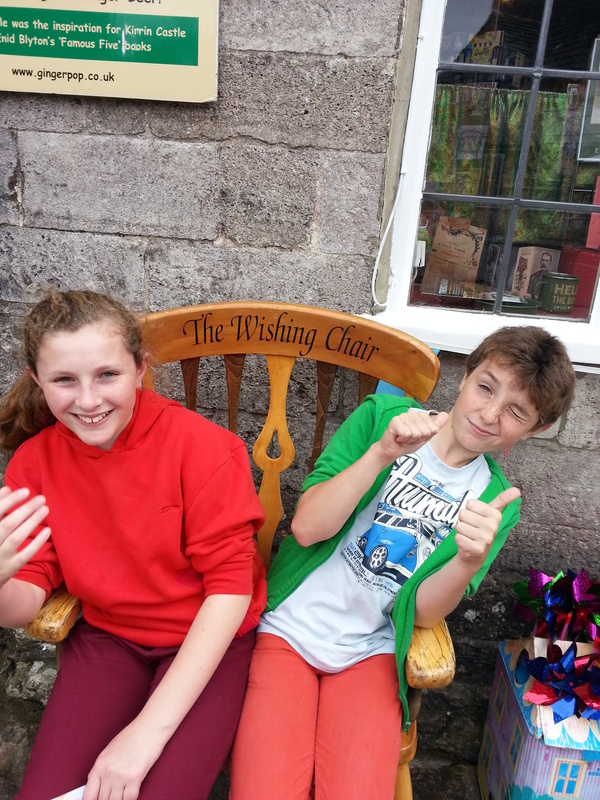 An explore of the village outside the castle revealed plenty of opportunity to replenish lost energy…..
…and the diminutive Ginger Pop Shop, dedicated to all things Enid Blyton, complete with Wishing Chair outside, minus wings today, and with no pixie, making it perfectly safe to accommodate two happy children. The village itself is pretty, with a parish church, with a medieval tower, shops, cafes with enormous cakes and a common worth exploring. Taking the playful route back to the car to burn off those ice cream and cream tea calories we headed off. It was well worth the two hour car journey from Bradford on Avon. No downpours, no phones or computers. A good family day out and a great way to round off the summer holidays. No visit to London is complete without an exploration of an area we haven’t visited before with the children. 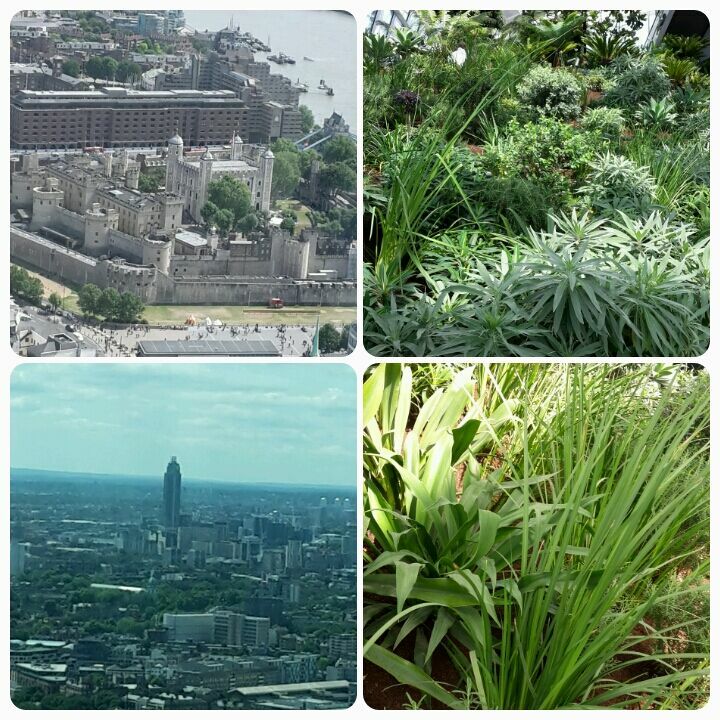 Earlier this Summer we decided on Cheapside and Sothwark enabling us to take in The Globe, the Shard, the Tate Modern, St Paul’s and some vibrant food markets. Of course it also provided me with ample opportunity to wax lyrical about ‘local boy’ Geoffrey Chaucer and Ian to pull out of the hat a visit to a museum I had no idea existed. However with two aspiring doctors in the family, it was a ‘must see’. A few minutes’ walk from London Bridge tube station The Old Operating Theatre Museum is the oldest example of its kind in Europe and has a large and somewhat gory collection of surgical instruments which kept our would-be medics fascinated for a couple of hours. Located atmospherically up a windy wooden staircase in the quirky, herb garret of St Thomas’ Church, it tells the story of early surgery and medical training at St Thomas’s hospital. There are two main parts to the museum. 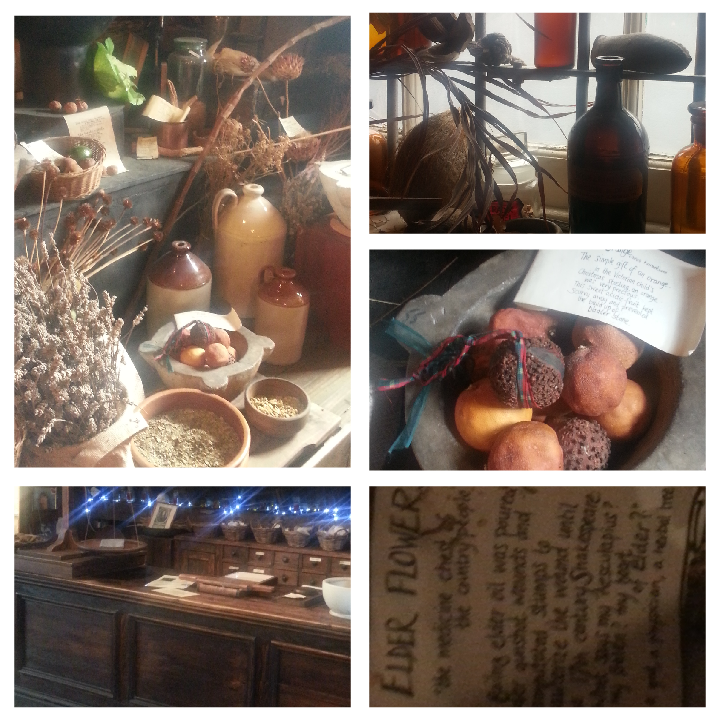 The first is their permanent collection of items, including extensive information on herbal medicine, which kept me fully absorbed. The second is the operating theatre itself in which an extremely engaging and knowledgeable guide (wearing the most magnificent pair of Doc Martens I have ever seen), drew a vivid picture of early surgical medicine. Exercise is good for you, laziness is not. I’m sure I’ve quoted Cliff Richard in this blog in the past and probably Shakespeare, Emily Bronte and Show of Hands. Today is a first for The Wombles. The middlest member of the family is still the only one mildly obsessed with the World Cup. Fortunately he is still young enough for it to manifest itself as a keenness to play football down the park with friends in an effort to recreate last night’s goal. The eldest has taken up cricket with a vengeance in addition to a spate of javelin victories. The youngest has maintained her 100% record in winning the Sports Day sprint race. Fortunately, despite a failure to get to the gym I have been too busy to be accused of laziness. In amongst the school Summer Fair, (where sales from the flower patch soared past £200 for this year so far) and signing up schools as Our Flower Patch members from September, I was interviewed and snapped by The Guardian, as you see,without having to dress up as a Viking or a Roman. Ellen at Frank and Elsie was on standby for a makeover if necessary. You can read the full article here and admire (above) the way Nick Hook has made someone who hates being photographed look so relaxed. I’ll be back at The Courts in the Summer to run family activities on Thursdays on butterflies, bees, wild art and growing in unusual containers. They are all free to families visiting The Courts. Bring a sunhat and a sense of adventure. 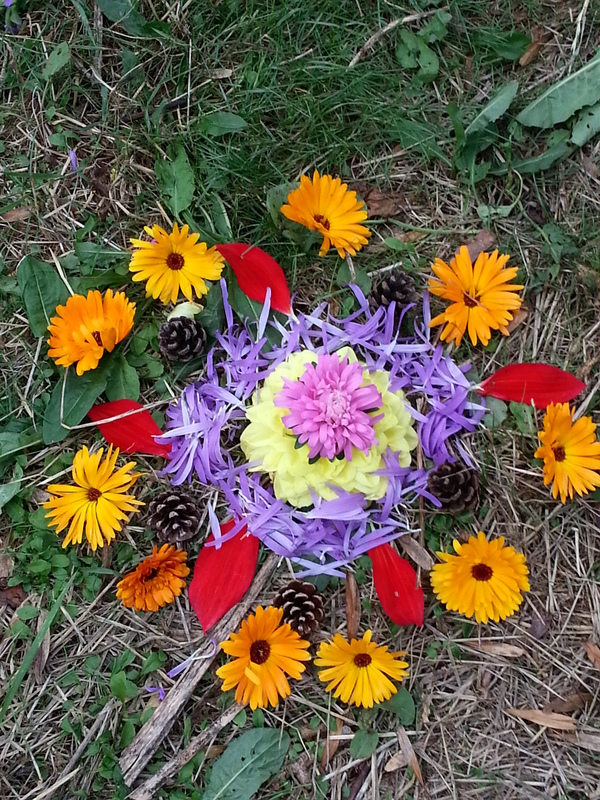 Pictured above is one of the beautiful mandalas made by the children who visited us at the Hartley Farm Summer fayre today. Practically perfect isn’t it? A bit of wild art to delight the soul. Lots of the children’s activities I’ve been running with the National Trust over the school holidays have tied in with their ’50 things’ campaign to encourage children and parents to get up close and personal with nature and the seasons. The Autumn is one of the best times to start with plenty to see and do and that promised Indian Summer. 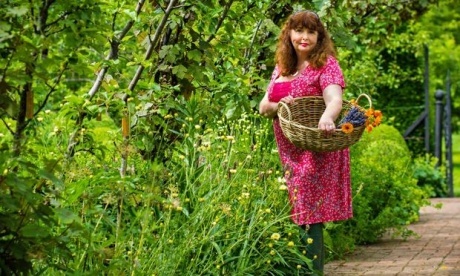 Lucy and I will be back at Hartley Farm on October 5th for a morning’s hedgerow foraging and cooking in the open air. We have 12 spaces available for children aged 5-12 at a cost of £12 for two hours. Email me at cally@countrygate.co.uk for further details or to subscribe to my newsletter which will tell you about other events around the local area. Don’t worry. I won’t bombard you with unwanted mail or pass your details on to anyone else. All the fun of the fayre. I’ll be at the Hartley Farm Summer Fayre today where the old goat pen will be festooned with bunting and Lucy and I will be giving families a taste of our monthly Saturday club. Pictured above is one of our club members from the very first session in July. Today’s taster session involves ‘magic string’, making wildflower seedballs to sow a butterfly and bee friendly garden next month and wild art in the form of mandalas. If you’re in the area do pop in to see us.